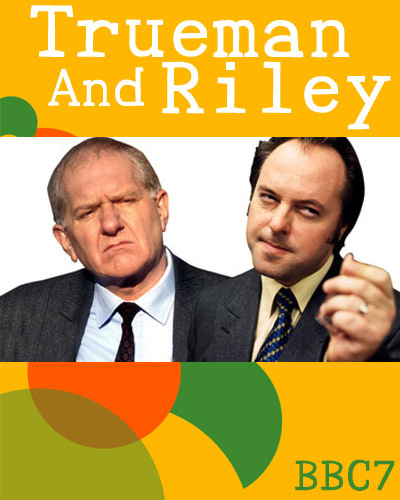 I hadn’t heard of it, but found both series 1 and series 2 of Trueman And Riley available via torrent over on RadioArchive.cc! I’ve now heard the first series, and I must say I do kind of like it. The programme features unpredictable mysteries with a contemporary feel (one episode is set at a James Bond convention). Trueman And Riley might be the very epitome of BBC “light entertainment.” It isn’t as gritty as McLevy, nor as engrossing as the Falco series. But, there is a certain breezy charm to the very modern, middling problems that Trueman and Riley are forced to face. Trueman And Riley is a British radio drama series written by Brian B. Thompson and starring Robert Daws and Duncan Preston. Originally named Trueman it began life on BBC Radio 4 on 17 April 2002 with DI Trueman being called back to work after a nervous breakdown in order to solve a high profile murder case, backed up by DS Riley (Duncan Preston). Renamed Trueman And Riley for a relaunch on BBC7, and relocated from Hull to Leeds, the new series saw the pair attempt to solve slightly more everyday crimes, and frequently disagreeing about the best way to proceed. Written by Brian B. Thompson. Detectives Trueman and Riley investigate the mysterious disappearance of a man en route from London to a new life in Leeds. A journalist has fallen from a building while working on a story, but was she pushed? Trueman and Riley are on the case. Intrigue and suspicion at a James Bond convention as Trueman and Riley go in search of a stolen ring. An angry Riley’s been sent on a speed awareness workshop. But that puts him on the trail of an ex-con from the old days in Hull. The Leeds detectives find themselves on assignment to the Student Crime Prevention Team. A student reunion turns sour when a man ends up in the canal. Trueman & Riley investigate. Trueman and Riley return to CID to deal with a series of thefts from pregnant women. Trueman and Riley are called in when a lingerie shop is burned down in an arson attack. 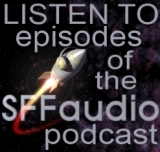 Trueman and Riley are sucked into the world of an online role play game.